A “fugitive” is a person charged with a felony who has fled from justice to another state or county. Interstate extradition is the process of holding a fugitive in custody in one state so that the authorities can transport the person back to the state where the arrest warrant is outstanding. A person may be classified as a “fugitive” even though he never fled for the purpose of avoiding prosecution. Likewise, being a fugitive doesn’t necessarily require that you conceal your whereabouts from the authorities. Florida does extradite a fugitive to and from other states on a felony warrant. The procedure is supposed to take about 30 days but the court can grant an additional 60-day extension. Florida has adopted the Uniform Criminal Extradition Act (UCEA) and is NOT considered to be a “non-extradition state.” In fact, all 50 states in the U.S. will extradite a fugitive from one state to another under the right circumstances, even though two states have not formally adopted the Uniform Criminal Extradition Act (UCEA). The short answer is “about 30 days.” A person charged with having committed a crime in another state may be held up to thirty days before receipt of a formal request for extradition from the state having jurisdiction over the offense and the issuance of a warrant of extradition by the Governor of this state. See § 941.15, Fla. Stat. After this 90 day total time period, if the defendant is not arrested under the governor’s warrant, then the trial court must discharge the defendant on the fugitive warrant. The policy behind extradition is to discourage people from fleeing to another jurisdiction to avoid justice. The extradition laws also give a person an incentive to voluntarily return to the jurisdiction where the warrant is pending to surrender. Keep in mind that if you are wanted on an outstanding warrant in another state, then federal law prohibits you from possessing a firearm or ammunition. The warrant will interfere with your ability to find a job or secure many types of government benefits. 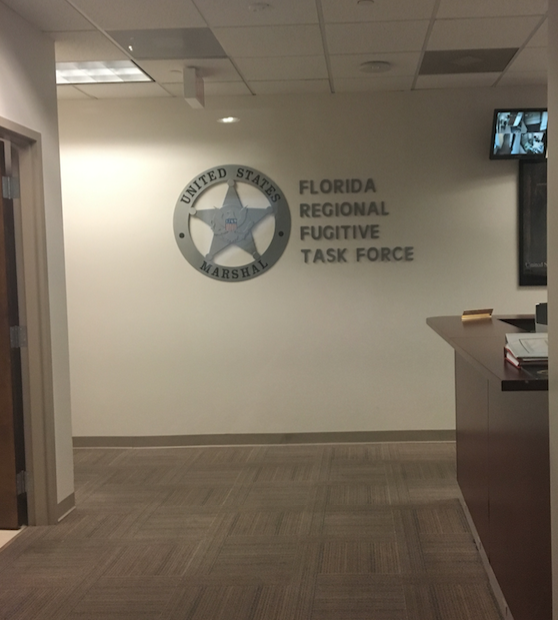 The attorneys at the Sammis Law Firm represent men and women on fugitive arrest warrants who are awaiting extradition back to the State of Florida to answer felony criminal charges. We also represent clients secure an “extradition warrant” when they are being held in Florida while awaiting extradition to another state. For the past ten (10) years, our main office has been located in downtown Tampa in Hillsborough County, FL. Our second office is located in New Port Richey in Pasco County, FL. We also represent clients with an outstanding warrant in Pasco County or clients awaiting extradition to Pasco County and the surrounding areas. In some cases, you can avoid interstate extradition back to Florida by hiring an attorney to begin working on a dismissal of the underlying case. We can help you decide whether you should “waive extradition” or request an “extradition bond” if you are being held in Florida while awaiting extradition to another state. The four attorneys in our firm are focused exclusively on criminal defense. We represent clients facing extradition to or from Florida throughout the greater Tampa Bay area, including Hillsborough County, Pasco County, Hernando County, Pinellas County, Manatee County and Polk County, Florida. What is an Extradition Bond under Section 941.16? The circuit court where the person is being held while awaiting extradition has the discretion to grant bail to a person detained on an out-of-state warrant pending the issuance of the warrant of extradition, unless the offense charged is punishable by death or life imprisonment. See § 941.16, Fla. Stat. Unless the offense with which the prisoner is charged is shown to be an offense punishable by death or life imprisonment under the laws of the state in which it was committed, a judge or other judicial officer having power of commitment in this state may admit the person arrested to bail by bond, with sufficient sureties, and in such sum as he or she deems proper, conditioned for the prisoner’s appearance before him or her at a time specified in such bond, and for the prisoner’s surrender, to be arrested upon the warrant of the Governor of this state. Pursuant to section 941.16, bail is intended to set conditions which will ensure that the prisoner will surrender in Florida should the Governor issue the warrant for extradition. For this reason, the process of setting a bond in an extradition case is consistent with the general purpose of bail, which is to ensure the defendant’s appearance at subsequent proceedings in this state. See § 903.046(1), Fla. Stat. In Nicholas v. Cochran, 673 So.2d 882, 883 (Fla. 4th DCA 1996), the court noted that the purpose of bail is to ensure defendant’s appearance at subsequent proceedings and to protect the community against unreasonable danger from the defendant. In an extradition case, the subsequent proceedings are an appearance before the circuit court for surrender, should the Governor issue a warrant for extradition, followed by a habeas hearing at which the legality of the extradition may be tested. See § 941.10(1), Fla. Stat. In Burkhart v. Jenne, 814 So. 2d 1064 (Fla. 4th DCA 2001), the court found that under section 941.16, a court may not use a bond to short circuit the extradition procedure. In that case, a special condition requiring the petitioner to surrender directly to the other state does not ensure the petitioner’s appearance at subsequent proceedings in Florida, rendering the condition inconsistent with the purpose of bail as set forth in section 941.16 and invalid on its face. In that case, the court granted the petition for habeas corpus in part by striking the trial court’s special condition that petitioner surrender to the other state officials. Throughout the Uniform Extradition Act, codified in chapter 941, Florida Statutes (2018), the judge is given wide discretion to decide whether to hold a fugitive in custody without bail. See §§ 941.15-.16, Fla. Stat. (2018). This discretion, however, is restricted by statutory time limits for which a fugitive can be held. Id. These time limits ensure that a defendant will not be held indefinitely. Does Florida Extradite for Misdemeanor Warrants? Florida will only extradite on a felony warrant and will not extradite on a misdemeanor warrant (except for a few limited exceptions). Florida will, however, transport a person from one county in Florida to another on a misdemeanor warrant. For example, if you have a “no bond” warrant out of Pasco County, FL, but you get picked up in Hillsborough County, then you will be held in Hillsborough County on an out of county hold. You will then be brought to Pasco County where you will be booked into the jail there on the warrant. Many people arrested on a misdemeanor warrant in Florida are arrested during a routine traffic stop, at the airport, or when boarding a cruise ship in the Tampa Bay area. Arrests also occur at the bus station or train station. In some cases, the police will come to your home or work to serve an outstanding arrest warrant. Under Federal law, you lose many of your civil rights while you are a fugitive from justice, even if the crime is just a misdemeanor. If the warrant was issued in Florida and you leave the state of Florida, then you are considered a fugitive from justice. While you are a fugitive from justice, you are not allowed to purchase or possess a firearm under Federal law. For example, 18 U.S.C. § 922[g](2) prohibits certain individuals from possessing firearms or ammunition, including anyone who is considered to be a fugitive from justice. The term also includes any person who knows that misdemeanor or felony charges are pending against such person and who leaves the State of prosecution. Even if you left the state before you were aware of the criminal investigation, you might still be considered a fugutive from justice after you find out about the warrant but refuse to surrender. The penalty for violating this federal law is up to ten years imprisonment and a $250,000 fine. The decision whether or not to seek the return of a fugitive from another jurisdiction should rest in the sound discretion of the local prosecutor. The likelihood of conviction once the fugitive inmate is returned to Florida. While this decision is being made, an attorney can contact the prosecutor to show them all of the reasons why the prosecutor should decide not to extradite the inmate. In some cases, your attorney might even be able to persuade the prosecutor to drop the charges entirely, especially when the case is particularly old and the chances for a successful prosecution are slim. What are the Rules for Extradition in Florida? The extradition laws in Florida provide for a process of bringing a person arrested out of state on a fugitive warrant back to this state of Florida to answer the criminal charges. Many people sit in jail for weeks or months not knowing that they have options that might help them avoid extradition. The Court that issued the warrant in Florida can also consider setting lifting the warrant temporarily or setting a reasonable bond and allowing you to voluntarily return to Florida to surrender on the warrant. If you waive extradition, you may be held in custody until authorities from the State of Florida come to get you. The timeline might take longer if you fight extradition. Either way, you might be held in custody for up to 30 days (or possibly as long as 90 days total) to permit the State of Florida to begin extradition proceedings against you and schedule the transportation. Depending on the circumstances, the courts in Florida have several options to release you from custody so that you can avoid extradition. An experienced criminal defense attorney can help you resolve your case. Find out more about the possibility of avoiding the costly and time-consuming process of extradition. Your attorney can also help you resolve the underlying felony charges as quickly as possible while still protecting all of your rights to fight the underlying charges aggressively. No matter your circumstances, start by contacting a criminal defense attorney at the Sammis Law Firm to discuss your case. Call (813) 250-0500. Old Violation of Probation Warrant – An individual is put on probation in Florida. The individual moves out of state. The Court in Florida issues a warrant for violation of probation. Florida puts out a notice on the NCIC that it will extradite the individual to Florida if the individual is arrested on the fugitive warrant in another state. The individual is eventually arrested in another state on the fugitive warrant. While awaiting extradition, the individual will sit in jail. An extradition lawyer can petition the court in Florida asking to temporarily withdraw the warrant so that the individual can be released from jail in the other state, and then voluntarily drive himself to Florida to surrender directly to the court to resolve the case. In some of these cases, the judge may just decide to withdraw the warrant and terminate the probation so that the individual never has to return to Florida to answer the charges that he violated probation. This is the best outcome but it usually requires some extraordinary showing that the violation of probation warrant is extremely old, and that the individual has turned his life around and become a productive member of society without any new arrests. It also helps to make sure that all outstanding restitution, court costs and cost of supervision are paid in full. Although difficult in most cases, an extradition lawyer in the area where the defendant is being held while awaiting extradition, can petition the court to allow the defendant to post bond on the fugitive warrant. (Usually it is more productive to hire an attorney in the area where the warrant was issued instead of an attorney in the area where the defendant is being held while awaiting extradition). The benefit of avoiding extradition is that the individual can avoid being required to reimburse Florida for the cost of extradition, which typically costs more than $2,000.00 but can run much higher. The individual may be able to avoid posting bond or paying a premium to the bail bondsman. Of course, the individual can avoid sitting in jail while awaiting extradition, avoid the actual extradition bus ride to Florida, and avoid sitting in jail in Florida while waiting for his first court date. Felony Warrant on Criminal Charges – An individual is accused of a crime because of some incident that occurred in the State of Florida. After the incident, the individual moves out of state. A judge in Florida issues a warrant for the individual’s arrest. Notice of the warrant is sent to the NCIC and FCIC (national and Florida database of information on criminal records and outstanding warrants). The individual is picked up in another state and held on the fugitive warrant. An attorney can petition the court in Florida to withdraw the fugitive warrant to avoid extradition. An attorney can contact the prosecutor to begin working on defending the criminal case, including asking to have the charges dropped, or filing a motion to suppress or a motion to dismiss the criminal accusation. Additionally, the attorney can work with the prosecutor to stipulate to setting a reasonable bond if the court is unwilling to withdraw the warrant. Although difficult in most cases, an attorney in the area where you are being held can petition the court to allow you to post bond on the fugitive warrant. This is usually the least desirable option because it is usually more efficient to hire an attorney in the area where the warrant was issued. In some cases, the client may want to hire an attorney in both jurisdictions if he intends to fight extradition. The same benefits of avoiding extradition discussed above apply: avoiding any need to repay Florida the money it cost to extradite you, avoiding posting bond, avoiding sitting in jail for months while awaiting extradition, and avoiding sitting in jail in Florida on the criminal charges. Extradition costs are imposed and enforced as costs of prosecution under sections 938.27 and 938.30. For example, in Thompson v. State, 699 So.2d 329 (Fla. 2d DCA 1997), the court held that extradition costs are costs of the prosecution. Therefore, as a criminal sanction in a criminal case, violation of probation case or violation of community control case, the court can order that the defendant pay the costs of extradition as part of the criminal punishment imposed. Some courts will impose the extradition costs as a civil lien. In some cases, your attorney will fight the case on the basis that the defendant was illegally transported to the United States for trial. If the prosecutors in the jurisdiction where the case is pending violate the extradition treaty between another county and the United States, then the defense attorney might be able to file a motion to dismiss the case because of these violations. The power of a court to try a person for crime is not necessarily impaired by the fact that the defendant has been brought within the court’s jurisdiction by reason of a forcible abduction. The courts have found that there is nothing in the Constitution that requires a court to permit a guilty person rightfully convicted to escape justice because he was brought to trial against his will. Serrano v. State, 64 So. 3d 93, 107-08 (Fla. 2011). Congress implemented this provision through 18 U.S.C. Sec. 3182 (1985), which provides for interstate cooperation in the apprehension and delivery of fugitives on demand from the executive authority of the requesting state, district, or territory from which the person fled. Every state in the United States has adopted provisions of the Uniform Criminal Extradition Act (UCEA). The demanding state must take custody and transport the person accused within 30 days. The National Conference of Commissioners on Uniform State Laws in 1926 created the Uniform Criminal Extradition Act. After being amended it in 1932 and 1936, it was withdrawn by the Conference in 1980, when it adopted the Uniform Extradition and Rendition Act. To date, only North Dakota has adopted the latter uniform law. For more information about the extradition laws of Florida, or to obtain an attorney to represent an individual awaiting extradition from another state, contact an experienced criminal defense attorney at the Sammis Law Firm to discuss the case at (813) 250-0500. For inmates being transported to Florida, the private prisoner transport company must comply with the Department of Justice Policies for Interstate Transportation of Dangerous Criminals (also known as “Jeanna’s Act”). Title 28 for Judicial Administration, PART 97— Standards for Private Entities Providing Prisoner or Detainee Service. Many of these companies provide inmate transfer services are seven (7) days a week—both by ground and air. For longer distances, it may be more efficient and cost-effective to transport a prisoner by air. In those cases, the private prisoner transport company can partners with commercial airlines to safely and securely move a prisoner from one location to the next. Companies in Florida include US Prisoner Transport in Melbourne, Florida, and State Extraditions. Inc., in Longwood, FL. What is the process to detain someone in Hillsborough County with an out of state felony warrant? After an arrest, the officer might be notified by the Communications Section of his agency that the person has an NCIC “hit.” The Communications Section will then send a teletype to the wanting agency to confirm that a warrant or capias is in existence and to determine if the agency will extradite the wanted person. If confirmation that a warrant or capias is in existence cannot be made, or confirmation that the agency will not extradite is made, the person will be released. If the warrant or capias is confirmed, the arrest will be made. If the wanting agency does not respond to the teletype within a reasonable time, the officer may contact the agency by telephone. The probable cause section of the CRA will include the charge along with the fact that the arrest was based upon a warrant or capias, the warrant or capias number, the name of the wanting agency, and the method of identification of the person. The name of the person who confirmed the warrant, in addition to the telephone number of the agency and the time the confirmation was made, will also be documented in the probable cause section of the affidavit. Is Hearsay Admissible in Extradition Proceedings? According to C. Ehrhardt, Florida Evidence, §103.1 (2011 Edition), hearsay is admissible in a number of different proceedings, either by rule, judicial decision or statute. Examples of such proceedings are discussed by Professor Ehrhardt in his treatise, Ehrhardt’s Florida Evidence, and include extradition proceedings. Extradition Laws in the United States – Visit the website of the Florida Senate to find information on interstate extradition, proposed extradition agreements, procedures, and time limits under Florida’s Chapter 941 regarding interstate cooperation in Statute Sections 941.01-941.42. Read more about the process for the extradition of witnesses. Another Death on a For-Profit Extradition Vehicle to Florida – Read more about people who are injured, sexually assault or die while being transported on a fugitive warrant between states in a for-profit extradition vehicle. Learn more about prisoner transportation services and trips to Florida with inmates during the extradition process. If you or a loved one are awaiting extradition back to Hillsborough County, FL, or the surrounding counties in the greater Tampa Bay area then contact an experienced criminal defense attorney at the Sammis Law Firm. Our attorneys also clients exercise their rights to their voluntary extradition under the Interstate Agreement on Detainers Act. We represent clients on felony warrants in Florida and in felony violation of probation cases. We also help clients file a petition for writ of habeas corpus, an extraordinary writ created to provide a prompt judicial determination of the legality of the detention of the alleged fugitive. The petition for a writ of habeas corpus can be used to challenge the extradition proceedings. For the past ten years, our main office has been located at the same location in downtown Tampa, FL. We recently opened a second office in New Port Richey in Pasco County across from the courthouse at the West Pasco Judicial Center. We work hard to fight the underlying charges so that our clients can be released from custody as quickly as possible. Contact us to discuss your case with an experienced attorney who can help you understand all options that might be available to fight the case.